On Friday Brad and I draped a sheet of plastic around the back of the building to try to slow down the water coming into the building. A crew of local characters was busy moving everything out of the back of the shop to keep it from being ruined by the water. As we were finishing up the water was lapping over the edge of the sidewalk. A truck load of refrigerators and perishable items went to Brad and Gina’s garage. Mary and I got home about 11 pm. 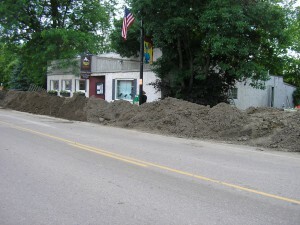 On Saturday we sandbagged between the existing flood wall and the building to keep the river from running in the back door. We also sandbagged the patio to slow the water running into the basement and along the side of the building to keep the water out of the main room. The fundamental problem is that the whole river bank is made up of chunks of granite from the Granite Works. There is about 3’ of soil on top of the fill, but the fill is very porous. When the river gets high it finds the gaps in the fill and works its way toward the street. Saturday night Brad kept an eye on the pumps as the water came up to 18.5 feet. On Sunday the water came up about another foot. The river was up to the bridge deck. One of the pumps crapped out and Brad and Gina’s daughter Liza went and got a couple more. At the peak we had seven pumps running. The sand bag dikes started leaking and they needed to be higher and wider to keep out the projected crest of 21 feet. Sunday night we took shifts running pumps and keeping an eye on the sandbags. The water was high, it was starting to flow around the east end of the bridge and up along the south side of the building. When we shut down a pump to refuel the water would come up 2-3 inches. We were holding our own, but just barely. Monday the water kept coming up. In the afternoon Brad and Gina decided that they could not fight it any longer. The high water was forecast to last until Thursday and they were afraid that the water eddying next to the building would wash out the foundation or the big trees on the bank. Either would be catastrophe. If the foundation failed, the back part of the building would fall into the river. If the trees went, they would take the sandbags and the patio with them. It was too much risk to ask their friends to take. With the clay dike in front of the building all we could do was set stuff up on blocks and hope for the best. We started shutting down pumps and pulling them out of the way. At 3pm the river flowed into the cafe, closing that chapter of Three Crows. Gina is planning to reopen. See the Three Crows website: www.thethreecrows.com . Around here things are shifting from planting to harvest, such as it is. We had been getting out butts kicked all spring with the stormy, cool wet weather. This week I disked under five plantings of arugula, radishes, and other greens that were never going to amount to much, to make room for fall brassicas and the last round of zukes and cukes. 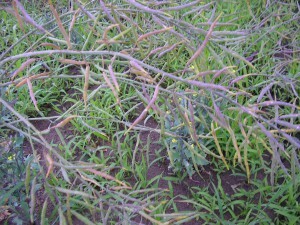 Weed control continues. This is the seed bed where I am selecting seeds from F2 and F3 generations of some good hybrid eggplant, peppers, and tomatoes to make stable open pollinated varieties. 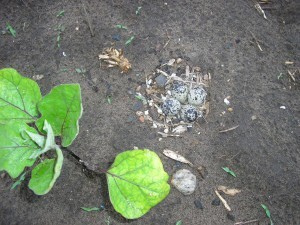 A killdeer nest next to an F2 eggplant. It is amazing that any of them ever survive. 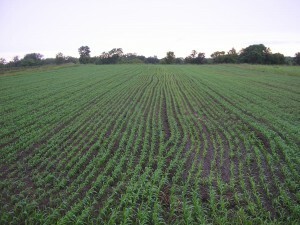 Sorghum sudan grass cover crop. This should look like the previous image, but it has been too wet to get in and plant. It is not a complete disaster. The plants with the yellow flowers are sweet blossom clover. 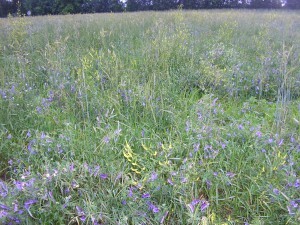 The purple ones are hairy vetch. Both are good soil building plants. 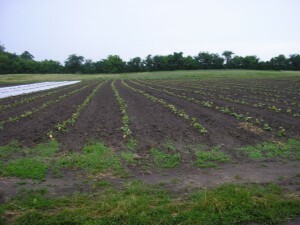 Winter squash that is planted in part of teh field that should be sorghum sudan grass. It looks good. 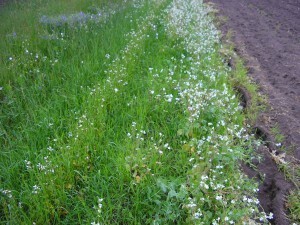 The next arugula and radishes. 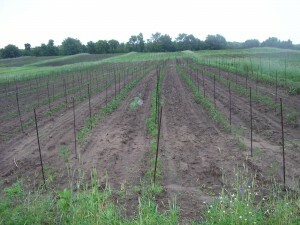 Crop mob was here and installed a couple thousand tomato stakes before it started to rain. Thanks everyone. Nice looking cabbages and kale. 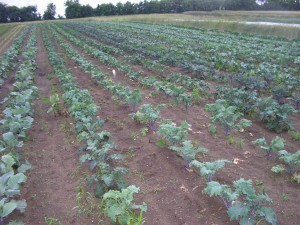 The broccoli looks good, but the crummy weather has made it all decide to bolt to seed rather than produce a large head. A spot that is simply too wet. 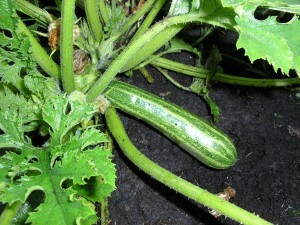 A zucchini that was produced from seed that was hand pollinated. Cocozelle is supposed to have the light stripes. The onions are doing well this year. The tops are a little beat up from the wind. 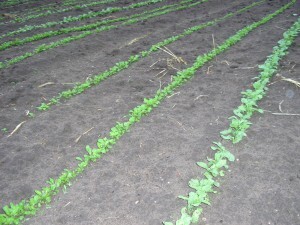 Arugula seed (on the right) and french breakfast radish seed. 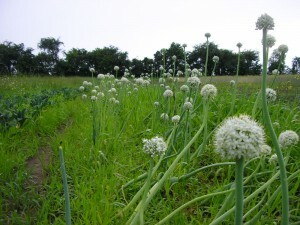 Cippolini onions going to seed. 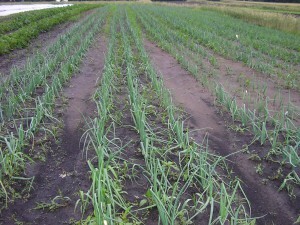 We stored the onions in the basement over the winter and planted them first thing this spring. Kale seed that is almost ripe. These plants were stored n the root cellar before planting them out this spring. We have been planting non stop for the past two weeks or more. At the end of May we set out thousands of lettuce and kale plants. The Birchwood Crop Mob stopped by on the last Saturday of May and kicked off the tomato planting. We got rained out a little early. It seems like the first crop mob always brings rain. It was great to see some old friends and meet some new ones. Our crew has been planting everything that will fit. We finished up the tomatoes and moved on to the eggplant and peppers. Right after that we started on winter squash and pumpkins. The pumpkins continue today. The last round of lettuce is also set to go in this week. I have been staying a little ahead of them, working up ground and marking out rows. The weather has not been terribly cooperative with getting things done. The problem continues to be periodic, very heavy rain. At the end of April we had a month’s worth of rain (5.5+ inches) in a week. May 31st and June 1st brought 4+ inches. We have been getting an inch or so every week, which is about perfect, but the big storms saturate the ground and there is no place for the regular rain to go. 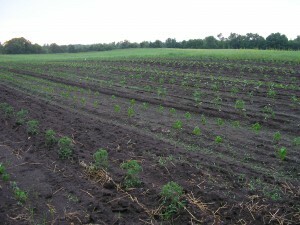 The southern quarter of this year’s vegetable field has been too wet to drive on, much less work. The road over to the land I have rented from our neighbor Cathy has been under water for about six weeks. At this point it is above water, but about half of it is washed out. The ground over there is heavier and it dries out slower than our land. It might be possible to plant late cabbages over there, but at this point I am not counting on it. All this has put us in a bind for tillable acres. I figure that we are short about 1/3 of the land I was planning on planting. 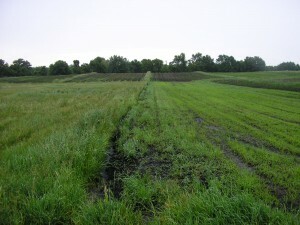 The only ground that is accessible is part of the field that was in oats and peas last year. It was supposed to get a second soil building crop of sorghum sudan grass this year, but I have decided to plow some of it and start planting there. It feels a little like eating our seed corn, but there are not any other good options, especially if we get 2-3 inches of rain in the next week. With spending all of our time on planting we had gotten behind on weeding. A crew of about 20 people from Common Roots came by on Tuesday and helped us get caught up on cultivation. They hoed all the onions, most of the peas, and about half of the potatoes. It was great. And we got a break from planting. We picked up another 2½ inches of rain over the weekend. We did not need that much, but it seems to have come down slow enough or with enough breaks that we did not get any severe erosion. Once it dries up a little I’ll be able to see if the soil got packed from the heavy rain. We did get all the pumpkins, zucchini, and cucumbers planted. Noelle was excited to see that the little fruit behind the female flowers on the green and yellow zucchini that she had hand pollinated last year were indeed green and yellow. In theory, we (she) can grow seed for all the vine crops. Cucumbers are next. Dave Rieder stopped over Friday afternoon to fix a broken shingle on the barn and helped Andrew, Noelle, and Zach set out all the tomatoes, peppers, and eggplant that we will be selecting seed from this fall. Our CSA will start up this week. We will be dropping off the first CSA shares on Wednesday. I have sent out a separate mailing to our members to verify their choice of pick up location. If you are one of them and have not seen that message, please let me know.